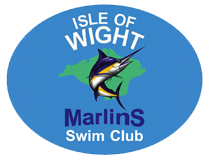 The Isle of Wight Marlins is a small friendly swim club for adults. We are here for anyone over the age of 18 who wants to swim for fitness, fun or competition. There is no pressure to compete and most of our members don’t, but some do both in age group competitions and in open water events. We have two members only sessions at The Heights, Sandown on Tuesdays and Thursdays 7.30am to 8.30am where we have exclusive use of this lovely pool. Swimmers set their own sessions. Also many of our members swim together in other public lane swimming sessions at various pools on the Island. We organise a number of events during the year which are both social and sporting. Our two regular main annual swimming events are The Heights Open Meet in February and the Sandown to Shanklin Sea Swim in August. Both events attract swimmers from all over the country and even some from abroad and great fun can be had by taking part. 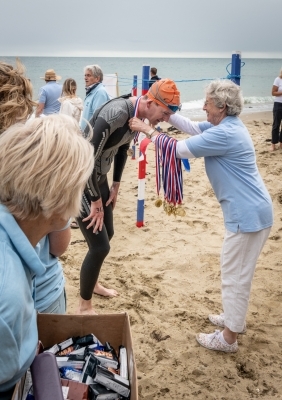 In between times we have ad-hoc events such as our Swim the Wight Day, Swimming Master Classes from visiting gurus and occasionally purely social get togethers. In addition our members often combine to do things together in less formal ways, as often happens when like minded people get to know each other. If any of this is of interest to you and you think you might like to join or just find out more without commitment at this stage, please contact any members of the committee on the ‘Contact Us’ page, or simply come to one of our sessions and make yourself known to the members who will make you welcome.